Laptop webcams are being pushed aside so laptops can be smaller around the edges and thus lighter and more portable. If these latest laptops are any proof, then more OEMs are beginning to value webcams less and less in order to achieve a sleeker and more eye-catching "frame-less" look. The 2015 Dell XPS 13 introduced the lauded InfinityEdge design that brought narrow bezels on three sides of the display. This seemingly superficial-only approach has far-reaching benefits including significantly smaller dimensions and lighter weight because of the trimmed edges. Competing manufacturers have since been releasing their own respective narrow bezel designs in response including the Lenovo Yoga 920, Asus Zenbook UX490, and the HP Spectre x360 13. However, one major drawback of having narrow bezels remains and the problem is seemingly becoming more common. A number of systems like the XPS 13 are favoring narrower bezels at the expense of webcam positioning. XPS owners have been outspoken about the sub-optimal camera placement for years, but the complaints have been falling onto deaf ears as the latest XPS 13 and XPS 15 models have done nothing to address them. 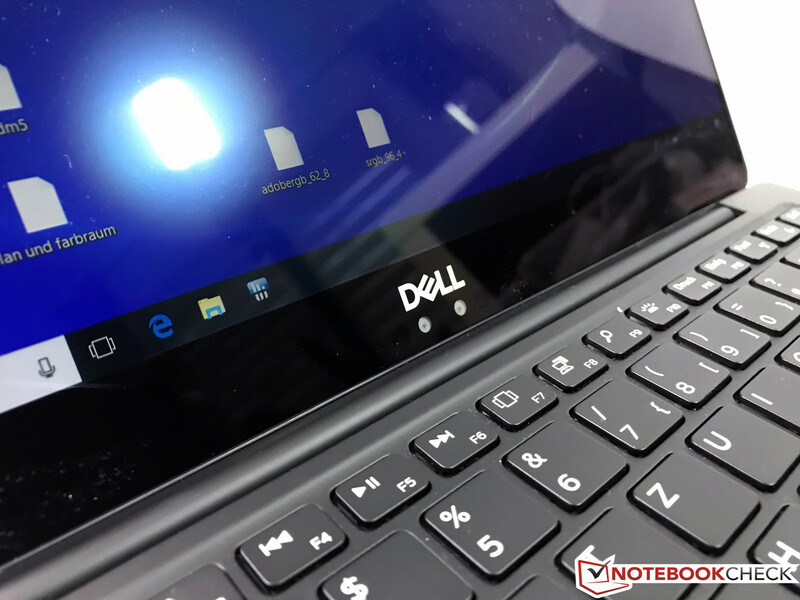 In fact, Dell has been doing quite the opposite because the latest XPS 13 9370 has even narrower bezels than the already narrow XPS 13 9360. Some OEMs are beginning to mimic this trend. The LG Gram 15, Gigabyte Aero 15X, and the very recent Lenovo Legion Y530 are notable examples where the webcams are positioned below the screen instead of above it. Even Huawei had to get creative with the MateBook X Pro webcam by incorporating it onto a keyboard key which does nothing to solve the "chin and nose" angle that is inherent to the subpar positioning. Smartphone cameras have been getting better and better with each successive generation while laptop webcams are still being treated like nothing more than a simple checkbox to fill. With narrow bezel designs now trickling down to more affordable mainstream offerings, we're fully expecting the list of laptops with poorly positioned webcams to grow even longer in the near future.